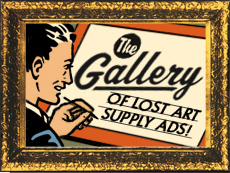 Welcome, artists and aficionados alike, to the home of The Museum of Forgotten Art Supplies, where tools of the trade that have died or have just about died a slow death are cheerfully exhibited — as well as those that perhaps don't get invited to lunch as much as they used to! 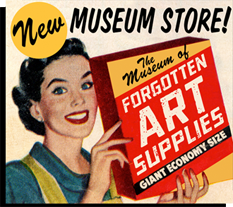 The Museum now features more fun than you deserve, and shows over 700 images of art supply artifacts, all contributed by visitors like you! As always, your comments are appreciated and most welcome. Note: Recently, there have been reports that some of you have been looking for the Museum – wandering far from your homes, often running out of gas and having to spend the night sleeping in your car. 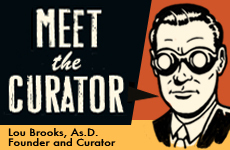 The Museum is NOT a real place with Doric marble columns and a Museum guard named "Pop" with a rusty gun. It's only a dream Lou's having, and he's very happy that you're all in it! 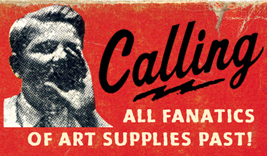 We welcome you to submit images of any ghosts of graphic arts past for our consideration. Click here or hit the submit button below, but please take a look to be sure you’re NOT sending a duplicate of something already exhibited. Any interesting packaging or literature is still cool. So, c'mon in and stay awhile... the coffee’s always hot and the waxer’s always on! 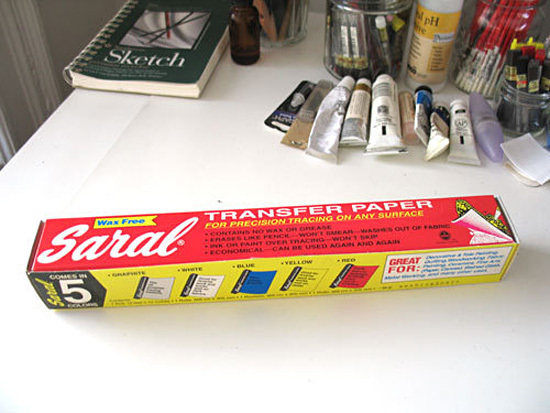 Back in Olden Times I used to use Saral paper for transferring my sketch to Arches watercolor paper for painting. It didn't have any wax in it, so the line didn't make the gouache paint bead up on it. 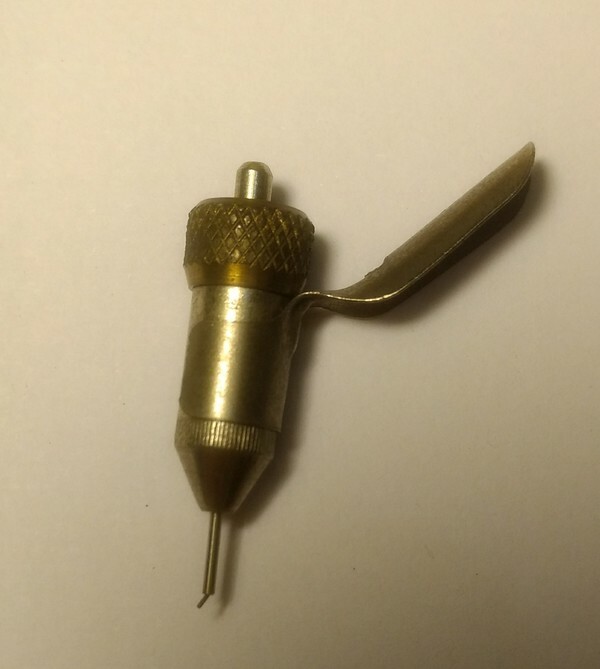 It came in all different colors, which prove handy depending on your background wash.
Latest Artifact no. 740 and counting! All content � 2019 Lou Brooks. All rights reserved.